While waiting for a recent flight, I had the pleasure of speaking to a gentleman named Dustin. He is a 6th grade teacher in Florida and I could tell that Dustin is a guy who loves his job, enjoys helping and teaching kids and truly wants to make a difference in the lives and futures of those around him. At one point, the conversation turned to those teachers who didn’t display the same attitude, and how they seemed to complain a lot and generally blamed the kids, the administration, and the parents for their bad experience (and attitude) as teachers. Dustin then went on to talk about how this impacts the students. My first thought was, “like a dog can smell fear”? My second thought was, 6th graders aren’t the only ones who can smell fake. Our employees are pretty good at it, too. Which brings me to this: leaders are like teachers. It’s a TOUGH gig to fake. I think fewer people are successful at “faking it until they make it” than they care to admit. But there are plenty of people in leadership roles who, for one reason or another, have no business being there. The process that put them there is another blog for another time. I would rather focus on identifying the fakes and finding a different path for their talents. And by the way, I don’t necessarily fault the fakes (yet). Again, the system that put them there might have been broken, or they may have thought it was the right move at the time. It’s those that have identified that they are faking their way through that need a swift kick in the pants. Here is what I have seen fake, ingenuous, I’d-rather-be-somewhere-else type of leaders do that impact their credibility, trustworthiness and ability to be respected. Inconsistent behavior – The ol’ Jekyll and Hyde. “I wonder who is showing up today?” is a common question from employees. Employees find it hard to trust people when they don’t know what the reaction will be if they ask a question or make a suggestion. Haphazard policy enforcement – probably comes from the inconsistent behavior above, but what does it say when a leader decides to enforce a policy, rule or deadline one day, but the next day completely ignores it? Hard to know where you stand. Poor communication – In my experience, I attribute 99% of all leadership issues to communication… lack of, too much, or incomplete. When your heart and mind really aren’t in the game, it’s tough to muster the energy and patience needed to listen, convey the proper message and listen some more. If this sounds like you, please gather your belongings and head for the exit. Do not pass go, do not collect $200. You are not doing yourself or your employees any favors by being fake and inconsistent. Should you quit without another job to go to? That’s up to you and your bank account, but PLEASE start looking for something that will truly align with your strengths and interests. If you don’t do it for yourself, do it for your employees. They deserve a leader who will openly communicate and LEAD them to greatness – not fake their way to mediocrity. About the author: In just a few weeks, Matt and his coaster nerd buddies will be embarking on their annual coaster extravaganza! This year they’ll be in California, visiting Disneyland, California Adventure, Knott’s Berry Farm, Universal Studios Hollywood and Six Flags Magic Mountain. Blog, Twitter and Facebook posts to follow! I now live in North Carolina. Feels kind of weird to say that. I honestly never imagined myself living here until a few years ago when my wife and I started talking about the possibility of moving away from Florida. Now I that I am here, I really like it. What I also like is the “culture” of the community that we moved into. We are in a small mountain community about 20 minutes from downtown Hendersonville, and I quickly noticed that there was a shared behavior of everyone once you got inside the community walls (i.e. subdivision). And it doesn’t matter if you know the person or not. 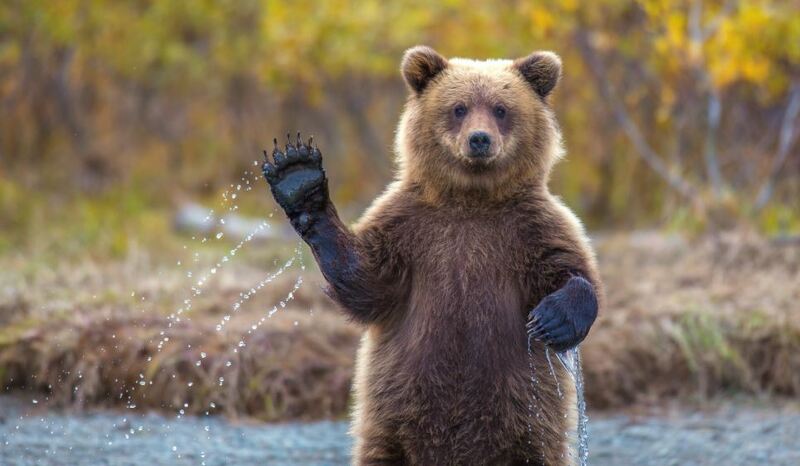 If you pass them in a car, if you see them out getting the mail or taking out the trash, the neighborly thing to do is wave in an effort to greet and acknowledge. And I have to say, it’s kind of nice. But where did this “wave culture” come from and more importantly for this post, how is it sustained? Since I only moved here about a month ago, I can’t speak specifically about where it came from or who started it. For this discussion, we’ll agree that it simply came from a group of nice people who wanted a friendly environment to live in. Great… but what happens when new people (like us) move in? Is there a meeting, an in-service, a memo or handbook that says we should wave? No. It just happened. And as I was bringing in the garbage can today (after waving at a neighbor I have yet to meet officially), I realized the steps that were taken to indoctrinate us into this culture. The culture was established. Long before we got here, someone at some point had started waving. Again, I don’t know the specific origins, but I do know it happened. Many companies talk about “creating a culture of this or that”, as if they don’t HAVE a culture already. The step they often miss is working to overcome the culture they DON’T want in order to achieve the culture that they do want. The culture was communicated. Again, not through a formal process, but through the actions of those already here. The interesting thing about being the “newbie” is getting to observe my surroundings to see what sticks versus what is talked about. Waving wasn’t talked about, it was done. The acceptable and desired behaviors are reinforced. Everyone waves. Everyone buys into the notion that if we don’t have time to converse, we should at least acknowledge our neighbors with a friendly wave. Sometimes they wave first, setting the example, other times I beat them to it but they return the favor with a wave of their own. It’s quite remarkable. How does this apply to you? Looking at the three things above, how can you improve the culture of your team, department or company? Establish your culture. Don’t forget to figure out how to “un-establish” the old culture if it’s not what you want. Then define in specific terms the behaviors of the culture you desire. It’s got to start somewhere, at some point and with some one. It’s not going to develop by osmosis. Communicate your culture. Yes, you can talk about it in training, but don’t let that be the only vehicle for letting people know what you value and what’s important. Live your values and culture, and find people to surround yourself with that will live the values, too. Communicate with actions, not just words. Reinforce the acceptable and desired behaviors. Set the example, first and foremost. If someone on your team is living up to your standards, let them know you appreciate it. Recognize it, and it will keep happening. If they can’t or won’t display the behaviors that support your culture and values, let them know how they can improve. If they choose to behave in a way that does not uphold your standards, they are not a good fit for your culture. Might be time to thin the herd. In business, there have to be consequences for those who are not fitting in with the culture you are trying to establish. When less than the standard is tolerated, that level of performance will become your new culture. In my neighborhood, I have yet to hear what the consequences might be for NOT waving at others. Quite frankly, I am not too worried about it. Waving at my neighbors has now become MY culture, something I WANT to do because it’s accepted, reinforced, and it’s the right thing to do. About the author: Matt has lived in Ohio, Michigan, New Hampshire, Minnesota, Connecticut, Florida, and now North Carolina. He has worked at an amusement park or attraction in four of the states, and has held a drivers license in five (soon to be 6 with NC). There is only one state where Matt didn’t have a drivers license AND didn’t work at an amusement park. Can you guess it?